Stand By to Place your Vote! 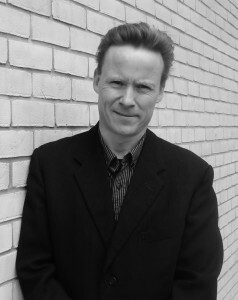 Today I am delighted to welcome Tom Gillespie, erudite member of the Crooked Cat’s cradle, and a lively contributor to our on-line chat. 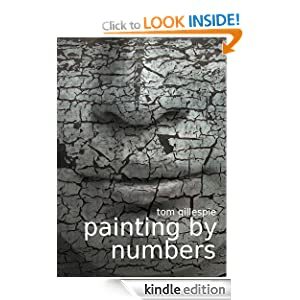 Tom’s book, Painting by Numbers, is a finalist for the People’s Book Prize 2013. And, although it is a far cry from the wilds of Africa, I thoroughly enjoyed the read. See my review of his book HERE and scroll to the end of the page. How did you get your first break in this world of novel writing, Tom? Oh it was a long and dark journey with many potholes and traffic jams along the way! Painting by Numbers was rejected or ignored by over 30 mainstream publishers and literary agencies. I can’t remember how many samples I sent out, but many seem to disappear into the great slush pile in the sky. But then after months and months of banging my forehead against my typewriter, I was contacted by a major London literary agency who liked the book and expressed an interest in representing me. The agent was extremely helpful and gave me a great deal of support and guidance, going through my manuscript with a fine tooth comb, offering constructive criticism. This helped me tighten and strengthen the narrative and character development, but also, he taught me so much about what makes a novel tick. But after another nine months or so, I still didn’t have any formal commitment from them, so I decided that if I wanted my book published at all, I would have to cut my losses and plough on elsewhere. So after that, instead of a pointless pursuit of the majors, I short listed about half a dozen smaller, independent publishers. To my astonishment and amazement, I received four requests for the full manuscript and some generous praise for my work. I couldn’t believe it, I was on the brink of throwing in the towel and suddenly I found people who actually liked my novel. I’m now signed to Crooked Cat Publishing. One of the main reasons I signed to CCP was that not only do they have a great love of books, but they also love, encourage and support the writers of books too. And perhaps most important of all, I feel my writing is understood, valued and respected. I found myself carried away by the rich prose, pungent odours and vivid colours described in your book. What inspired you to write such a dark surreal thriller as Painting by Numbers? 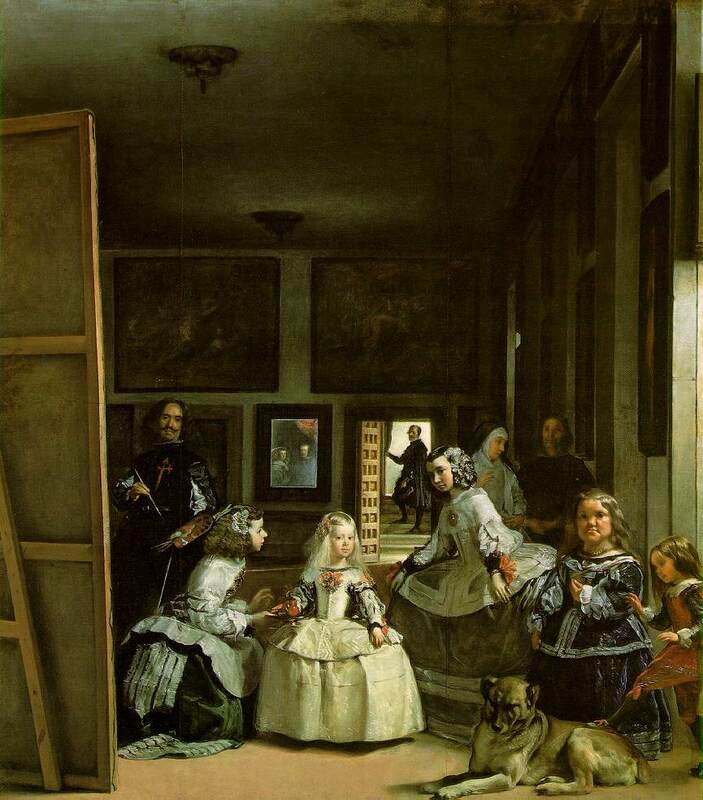 Although my novel started out as a one page flash story, prompted by an incident I observed during a visit to El Prado museum, Madrid, the real inspiration and star of the show is Las Meninas, Diego Velazquez’s magnificently mysterious Baroque masterpiece. When I was a student, I shared a flat with sculptor friend, who had a poster of Las Meninas on the wall of his bedroom. (Yes I know, he was a little strange). This was my first encounter with the painting and I asked him which modern artist had created it. I couldn’t believe it was over 350 years old. I thought it was some kind of masterful postmodern pastiche on the baroque style. It remains one of the most enigmatic and thought-provoking works of art ever created. It was so far ahead of its time, we’re still running after it, trying to catch up. I always wanted to write a story that would involve Las Meninas, and when I started digging deeper into the history, the theories and controversies of the work, I found that the plethora of questions it raises helped me devise and develop the narrative for my book, and that Las Meninas would become a symbol of my central protagonists struggle to make sense of his past. At times I was reminded of the Da Vinci Code. Did you have the Dan Brown style in mind as you wrote it? I started writing PBN when I was living in Spain, and I had no idea who Dan Brown was or all the bluster of publicity that The Da Vinci Code was generating at the time. So he was definitely not in my mind. Although there may be some thematic elements that are quite similar; an old painting, some weird mathematical puzzles, a conspiracy of sorts and a thrilleresque structure, Painting by Numbers is a surreal psychological road trip told from inside the head of my central character. Da Vinci Code is much more conventional and genre specific, I think. Has feedback from readers shown the “old truth, buried deep within” Jacob was successfully revealed? And have you ever felt that a reviewer did not read your book properly? I try as best I can never to speculate on what reviewers and readers think or don’t think about my work. I love writing that allows the reader to make up his or her own mind about what they believe might be going on and I wouldn’t want to interfere with that. I don’t like stories that spell everything out or lead the reader by the hand. Of course, we all want people to read and love our books, and even when readers don’t like it, I feel quite satisfied that the work has at the very least produced an emotional response. Tell us about any other books you have written. Painting by Numbers is my first novel. I’m a huge fan of short stories and flash fiction, and I’ve been scribbling down stories from childhood. A number have been published in magazines, anthologies and online collections. I’m always torn between the sprint of the story and marathon of the novel, and I find it quite difficult to do both at the same time. At the moment, I’m working on my second novel, about a down and out, once-famous writer who is left an expensive house by an adoring fan.. wishful thinking or what!! ..But all is not what it seems. You’ve just completed the A to Z Challenge. Bearing in mind your Zeitgeist entry, would you care to pick one of your most loved “rabble rousers” and tell us how it turned you on? There are so many rabble rousing writers that I love, but I suppose one of my all time favourites is Bill the Bard, William Shakespeare. I find it absolutely astonishing that his work continues to shock and enlighten, with its radical ambition, ideas and mesmerising use of language. He manages time and time again to tap into the cerebral cortex of the universal human condition, and I suppose that’s why his plays and poetry inspire across cultures and generations. But for me, it’s also his supreme command of the language that inspires me the most; the flow, rhythms, textures and music in his words, along with his linguistic invention are utterly jaw-dropping. If there wasn’t a word or phrase that could adequately capture the mood or emotion of the moment, he’d just make one up. Shakespeare cut a pioneering pathway for us all to try and follow. I see you’re an English lecturer. Have you any advice for newbie authors? Oh dear.. I don’t consider myself an authority on anything really, except perhaps the inside of a beer bottle. The only advice I remind myself of now and again is to always aspire to be an aspiring writer. What books would you take to read while on holiday? I’ll read anything on holiday. I load up my kindle with all sorts and jump into whatever takes my fancy, from pulp thrillers or heavy lit fiction , through to rom coms and crime. I don’t really mind. I’m always just happy to refuel my soul with plenty of rest and simple pleasures. What interests do you have, apart from songs and a hyper-neurotic cat? You may not believe me but I love gardening. I’m blessed with a slightly obsessive, addictive personality, so I find the whole gardening experience a liberating release from my worries. I find that when I’m lost in muck, rotting leaves and clippings, the cogs in my brain start to slow. I find it totally absorbing and relaxing. I love burying my hands in the soil, getting the dirt (and cat poo !) under my nails, digging holes, planting saplings and watching life grow up and around our house, and amongst our lives. Having said that, our garden is still completely overgrown and insane, but it is my oasis of calm and my special place to think and not to think. I wouldn’t call it an achievement exactly but what (or who) makes me the most proud, is my daughter. She is joy personified. I suppose in terms of creative achievement, I’m still very proud of the clay ashtray I lovingly made for my dad when I was in Primary 4. He used it for years until his emphysema got too bad and he had to give up…….I am joking about the emphysema…. but surely only in Glasgow would kids make ashtrays for their parents! This entry was posted in Authors and tagged Da Vinci Code, Diego Velázquez, Las Meninas, Museo del Prado, William Shakespeare. Bookmark the permalink. 2 Responses to Stand By to Place your Vote! Another nice interview – well done you two! Good morning, Helen – thanks!